My name is Jim, I am self employed and have been selling products online since October 1999 when my first website was put up on the net. I found WA when I was searching for ways to make additional income. These days we could all use extra money. Looking forward to learning as much as I can and helping others along the way. 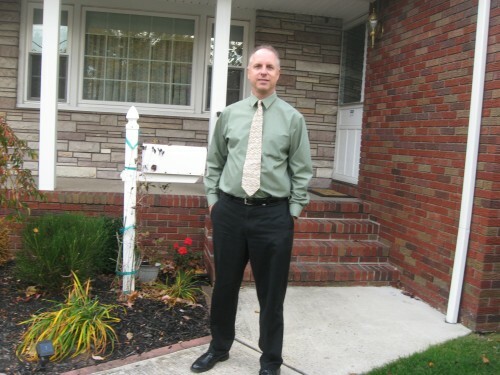 Hi, thanks for the follow Jim. Newbie or not, I have 20 plus years plus experience in this industry, so please shout if you need any help. I thank you and look forward to helping you wherever possible. Thank you Jim for the follow! May you have great success here at WA!! 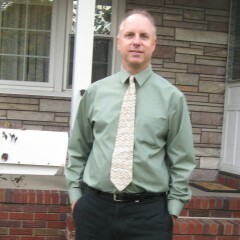 Thank you Jim for the follow and many blessings to you here at WA. If you need any help remember to post your question in the comments section or on live chat, and someone will be able to help you. You can also check out my blog posts on my profile page. I blog about ways to help you build a better website and best practices here at WA. Enjoy! I wanted to take a few minutes to see how you are enjoying Wealthy Affiliate so far and to officially welcome you to the community. I am here to help, as is Kyle, and many other awesome (and knowledgable) members. If you have any questions about getting started please let me know, or post your questions in the LIVE chat on the dashbaord. I suggest choosing a domain that is a .com, .org, or .net (in this order). A .info will not rank as well and you will find that very few .info domains are in Google period. Stick to the top 3 domain types. Hello James and welcome to Wealthy Affiliate!! My name is Scott and I am here to help you get started making money online. Before you even think about making money though I want to let you know about a few things that is critical to your success here at WA. 1. You are building a business and this will take quite some time. You are not going to see success overnight or in a week. It will happen but you need to work really hard at this and devote some time to it each day. 2. You need to have a schedule that you can stick with and be able to work on this for at least 30 minutes everyday. 3. Set yourself some goals that you would like to work towards. These should be financial goals along with non-financial goals. You can list your financial goals by adding them to the following discussion here. https://my.wealthyaffiliate.com/getting-started/what-are-your-money-goals By doing this it tells me that you really are serious about making money online and not just curious. 4. If you want to have a successful website that is going to get ranked for lots of awesome low competition keywords. You are going to need a keyword research tool that is reliable, accurate, and is always up to date. With Jaaxy you will get all of this, and so much more. You can sign up for your Free trial account at www.jaaxy.com and get your first 30 searches for Free. 5. Try to not get discouraged or overwhelmed because there is lots of information for you to learn here. There is plenty of help here within the community so if you ever get stuck or need any help pop over to live chat and ask questions. Step 1. Upload a picture of yourself, This doesn't have to be a picture of yourself but it helps people get to know you better here. Step 2. Write a little bit about yourself in your Bio. You could use this area to introduce yourself to the community and tell a little about what you would like to achieve within WA. Filling out your profile is a very important step in getting started here. You will get 10 times more help when you do this. People feel like they can connect with you on a personal level and they are more inclined to follow you as well. You can view your first lesson here https://my.wealthyaffiliate.com/training/online-entrepreneur-certification-getting-started-level-1 This is a 10 lesson course that will walk you through the process of choosing a niche, getting your website setup and how to write your first page of content. This is designed so that you can check off each task as you complete it. If you join the Premium Membership we have here at Wealthy Affiliate I am going to be giving you a few bonuses. 2. You are going to get direct access to me. I will be your personal coach and help you with anything that you need help with. If you need help getting your first online marketing campaign off the ground I am here for you. 3. You will be getting a very special bonus from me that will show you how to double the traffic to your website in a short period of time. This guide wasn't available when I started and I had to build up my traffic using other ways. This offer is only valid for your first 7 days. There is absolutely no obligation for you to upgrade to premium and you can stay a Free member for as long as you like. You will just have limited resources using your free account. However, if you are serious about making money online and you would like to make a career out of Internet marketing then you should really consider checking out the premium membership for at least one month. If you do decide to take me up on this amazing offer then I will be contacting you by personal message shortly after you upgrade to deliver your bonuses to you. You should never feel like you are alone in this I am here for you to guide you 100% of the way. When you join as a free starter member you are going to get 7 days of FREE access to the live chat, your own blog, the discussions area, and the ability to comment on other blogs within the community. If there is something you don't understand or if you need help with anything there are thousands of experts here along with the owners Kyle and Carson. They will be happy to answer any questions you might have. Another great way to get help is to create a blog post or start a discussion asking for help. As soon as you publish your blog it will appear in the live feed for everyone to see. People will respond to your questions and you will get a ton of help.